This is the fourth article in a series of seven reasons why science validates you ought to focus on Applied Positive Intentions because they can help you live an even more meaningful, flourishing and prosperous professional and personal life. In this article we focus on how applied positive intentions build positivity. In the previous articles we’ve examined how Applied Positive Intentions increase self-determination, develop trust and enhance meaning and purpose in our lives. In this article we explore how Applied Positive Intentions build positivity. Research by Professor Sonja Lyubomirsky at the University of California highlights how much of our level of positivity and sense of overall life satisfaction is out of our control. In fact, it could be that up to 60% is simply genetic and environmental. 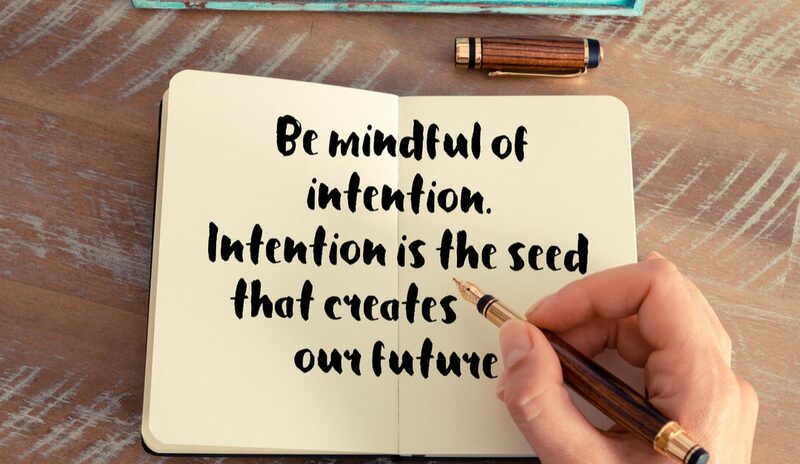 More importantly however, her research suggests that 40% of our overall sense of well-being and positivity is totally within our control and therefore we need to be more focused on our ‘intentional choices and actions’. When we choose to live our lives based on our positive intentions to make life better for others (and knowingly, that makes life better for ourselves), our sense of positivity about ourselves and our world around us increases. In our work environment, when co-workers choose and take action on positive intentions for each other (applied positive intentions), trust in the workplace increases. In Stephen M. R. Covey’s book The Speed of Trust, his research suggests, when trust is high within organisations, relationships are stronger, productivity increases, engagement is higher, positivity increases, and goal achievement increases. At the same time, in high trust environments, stress, blame, mistakes and rework are all significantly reduced. What’s really cool about living your life through applied positive intentions, is that positivity builds positivity. Researcher Barbara Fredrickson’s Broaden and Build Theory of Positivity suggests that positivity ‘opens our hearts and our minds, making us more receptive and more creative’. This in turn, based on Fredrickson’s research, suggests that positivity capacity to open our hearts and our minds allows us to discover and build new skills, new ties, new knowledge and new ways of being. So positivity broadens and builds our capacity to live a more meaningful, flourishing and prosperous professional and personal life. Coach and guide your employees to write out positive intention statements for their customers and regularly report back on how they are living up to their positive customer (and colleague) intentions and you will; boost the level of self-determination in your people, develop more inter and intra team trust, enhance your people’s sense of meaning and purpose, and build their sense of positivity which increases their capacity to succeed. The fifth article in this series will cover how science validates Applied Positive Intentions helps to increase goal achievement in our professional and personal lives.